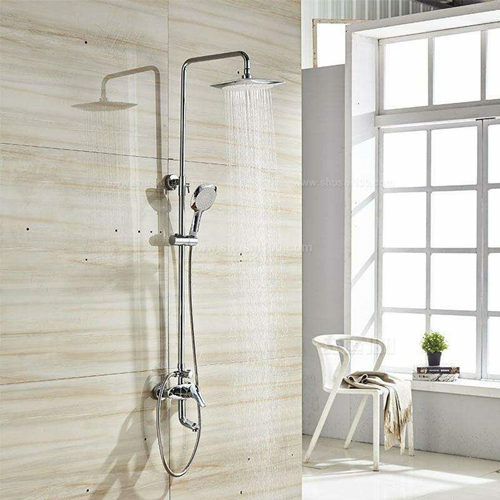 Many people have found that the shower hose in the home is not used for a long time and the tube is easily broken. After a few months, the light shower hose has to be replaced by several. How to choose a shower hose? Let's take a look at some of the knowledge of the shower hose purchase. The shower hose includes various metal hoses, braided tubes, and PVC reinforced tubes. There are some differences in different materials, and there is no absolute answer to which one is good. When you buy it in the hardware store, you can compare several materials, the key surface is flat, the gap is even, the hand feels smooth, the natural expansion, the structure is firm, and the damage resistance is strong. 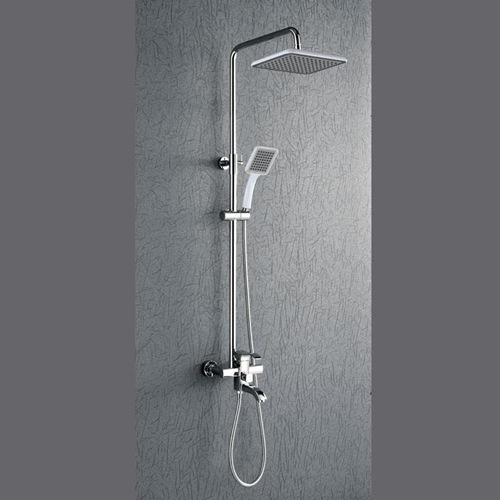 In addition, the size of the shower hose should be matched with the shower head. The general dimensions are 14mm, 16mm, 17mm and 18mm. You can bring the old hose to buy a new hose for comparison. PVC reinforced pipe - not easily deformed, with wear resistance and resistance to external pressure. Joint material: copper or stainless steel. Hose structure: The structure is firm, and it is tested by compression, tensile and torsion resistance. Hose length: 1.2 m, 1.5 m, 1.8 m, 2 m.
Inner tube material: pvc silicone inner tube, ternary inner tube, etc. 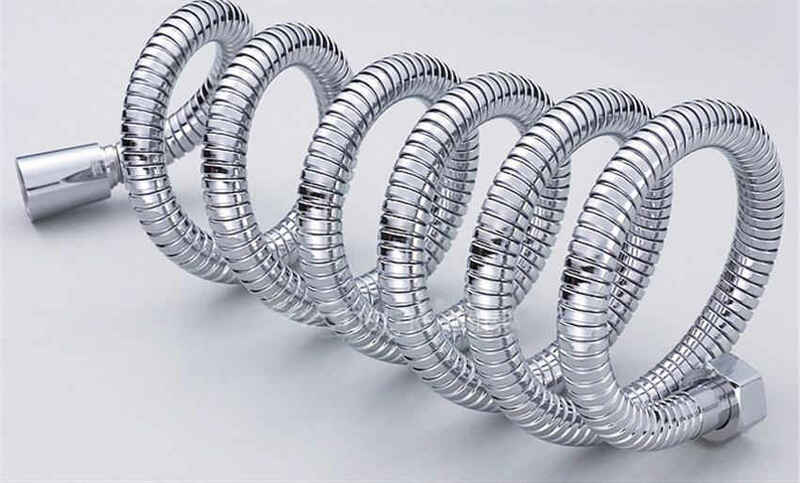 Mainly depends on the surface flexibility of the shower hose and threaded connection, which is a very important point of a good shower hose, then the choice of joint material and leakage prevention effect, the last is to look at the inner tube, the inner tube is recommended to choose three The inner tube, the ternary inner tube, and the flexibility and contraction are better. 1. The shower hose is the link between the hand shower and the faucet. The general hose consists of an EPDM inner tube, a high temperature resistant nylon core and a 304 stainless steel outer tube. The nut is made of cast copper and the gasket is made of nitrile rubber (NBR). EPDM rubber is a copolymer, a rubber obtained by copolymerizing ethylene, propylene and a non-conjugated diene. Then some friends have to ask, why use this rubber as a shower hose? 2. Firstly, the aging resistance and superheat resistance are quite good. EPDM has excellent weather resistance, ozone resistance, acid and alkali resistance, and the mechanical properties change little after immersion in 125 °C superheated water for 15 months. The expansion ratio is only 0.3%. The use of EPDM as a hose is the best material for showers due to the need for long-term hot water flow. 3, followed by elasticity, we all know that when using a hand-held shower, it is necessary to constantly stretch to wash the body, and the EPDM molecular chain can maintain flexibility in a wide range, and can still be maintained in the low position, so this is also the design One of the main reasons for choosing EPDM. When purchasing a shower, try to stretch the hose and check the elastic properties of the hose. The better the general elastic properties, the better the rubber material used. The nylon core is generally made of coated acrylic fiber to protect the inner tube. The 304 stainless steel outer tube is made of stainless steel wire wound to protect the inner tube and limit stretching and explosion protection. Some manufacturers' products are not stainless steel even if they are marked with stainless steel. This is something that everyone must pay attention to when purchasing. Check whether the rebound is restored to the original position after stretching.